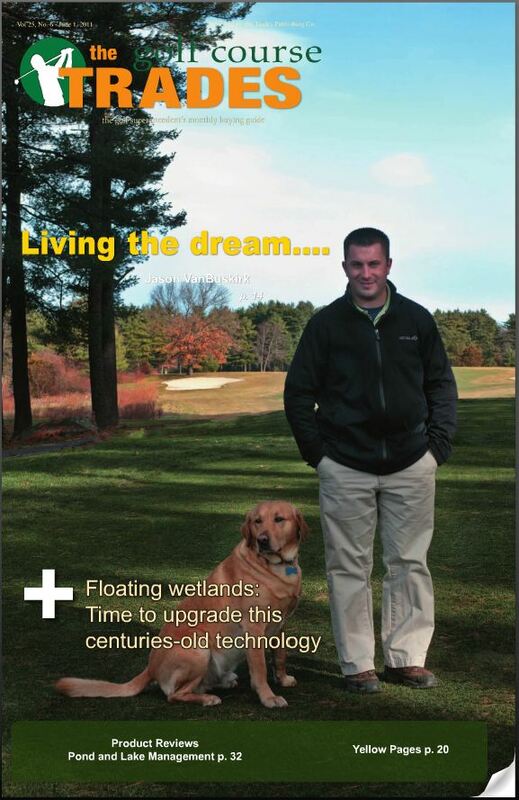 Golf Course Trades Magazine Cover Article! Thanks to the people over at Golf Course Trades Magazine, and especially Ken Rowland, I have my first national cover article! Check it out! The snow had just cleared a few weeks prior and the 2008 golf season in Stow, Mass., was getting ready to begin. I had just been named the new superintendent of Stow Acres Country at the age of 24, and the excitement still really hadn’t set in yet, but many challenges definitely did. Managing this huge 36-hole property was not going to be easy, especially since it was my first superintendent’s job. The overwhelming fears of budget, personnel management, resource management, in-house projects, and hiring a team stopped being future fears as an assistant and quickly became real. I already had a plan, but I needed to put it into place fast. Before I explain my challenges over the last three years, let me explain a little about my background. I graduated from the University of Rhode Island with a Bachelor’s degree in Turfgrass Management in 2006. In November 2005, I was hired as an assistant at Oakley Country Club located in Watertown, Mass. My stay there was short, and after only 14 months, I left and went to Scotts LawnCare in Southborough, Mass. Working at Scotts LawnCare taught me a lot about customer service and account management. I also helped train new employees to complete pesticide certification. After working with Scotts for 5 months, I was contacted by Erick Koskinen, then superintendent at Stow Acres Country Club. He was interested in having me come to work as the assistant superintendent on the South Course. I immediately agreed, and my future at Stow Acres Country Club started in the spring season of 2007. Working as the assistant of the South Course, I learned a lot very quickly. A skill set that was still developing now needed to include many things that most assistants take care of, such as irrigation trouble shooting, main line breaks, minor budgeting practices, and personnel management. Even though these skills are a constant work in progress, I had a pretty good handle on them by the end of the summer. In December of 2007, our superintendent told us he was moving on to another company. I thought about applying for his job at first, but didn’t feel right applying for the job against many other veterans in the industry. After much talk with my father, he convinced me to put my resume together and apply. After a grueling four interviews and two months later, I got the job! I couldn’t believe it! I was actually the superintendent of Stow Acres Country Club. I was now in charge of a grounds crew that I once worked on when I was 17. Year one was definitely interesting. Budgeting resources and managing personnel were the two biggest challenges. Having full support from the owner, Walter Lankau, made adjusting much easier, and it gave me a lot more confidence to do my job. I knew how to maintain turf, but it was his full support that allowed me to teach myself resource budgeting and personnel management. In year one, we had some crazy events that occurred. We had to replace one of the main irrigation pumps in the middle of June due to engine failure. It was stressful, but we weren’t down for more than a week and kept turf alive with spray rigs. On July 1, 2008, a micro-burst touched down on the North Course, taking down almost 40 trees and leaving a mess that would rival any spring cleanup in the history of the course. We took immediate action working around the clock trying to restore playing conditions to normal as quickly as possible. It was this event that brought our young management team together. We relied on each other and demanded a lot, but overcame the obstacle. I knew I had a good team in place after only being in charge for four months. Year two was a growing year for myself and the crew. I took the winter to really implement programs that would help improve productivity and efficiency. I evaluated the structure of the budget and how projections were made. I estimated the yearly costs that were within control and I even reformatted crew policies and mowing schedules. We renovated the upstairs of the shop for my office, two assistant’s offices, a small meeting room, and a large break room. I thought by making these changes, it would help bring new life into the guys that had been here and a fresh atmosphere for the guys that were to come. The year 2009 was an average season with no major setbacks, and in the fall we tested our in-house project skills. We graded three new tee boxes, and reconstructed a greens surround on the seventh hole of the North Course. And, as always, we removed a handful of trees. Year three has been an exciting year as we prepared for a number of significant tournaments. In May, we were one of six sites to host the Massachusetts Open Qualifier. In July, we were one of nine sites across the country to host the PGA Junior Series. The tournament was a three-day, 54-hole event and featured some of the best juniors in the country. This was the first big event that our team had to prepare for. It was a great test and a lot of fun. In October, we hosted the 2010 ECAC Division III Men’s Championship. This was a two-day event that once again challenged our maintenance staff after a very long summer. We ended the season pretty successfully surviving what some are calling, “The Summer From Hell.” We had a number of in-house projects that we took on this fall. One included a major renovation of the golf school facilities. This renovation included the construction of some new tees, new irrigation, and a more versatile area for teaching short range approach shots. The best part about year three has been the birth of my daughter. My wife and I have welcomed a very precious person into the world. As we face the challenges that a new baby brings, this has also been a challenge for our management team. They handled it flawlessly. Year three has definitely proven to be a maturation year for my upper management team. My assistants, Harris Schnare and Kevin Bracken, have grown with me and are very capable of running our staff and the golf course. My equipment manager, Justin Parker, has also grown with me and is easily one of the best mechanics in the business. Together, our team is very confident in handling the everyday maintenance or even the once-in-a-lifetime catastrophes that present us on the golf course. It was their support this year that helped manage our grounds staff exceptionally. Personnel management was definitely the biggest struggle first starting out, but after a few seasons now as the superintendent, I have a very good system in place. One piece of that system has helped us watch labor hours very carefully down to the week. Using a system that I learned at the 2010 GIS, from superintendent Darrin Batisky, called labor tracking, helped our maintenance team easily manage hours and overtime on a weekly basis. We modified it to our needs, but kept the concept the same for tracking individual hours and individual tasks. Each staff member had a mailbox and at the beginning of each week he received a blank task sheet. At the end of the day he filled out the task sheet. Every Monday morning, the sheets were collected and the data entered into the master sheet. It definitely helped keep track of our labor dollars in a year that could have sent us very far over the labor budget. If certain areas needed extra attention, it was understood what it would do to the budget, and a very informed decision could be made. This was particularly helpful for those monthly meetings that discussed where our labor investment was going. Once the data was collected for the entire year, we could easily break it down into parts of the season, or just analyze it for the entire year. I was also able to use this data to have an estimation for current labor hours for each guy on the hourly staff. With this chart, I could project what hours would be for the remainder of the year, and easily pull up a year-end total. This system proved to be very useful and important as we entered the fall season this year. We were able to accurately lay guys off for the season or keep guys on based on actual numbers. It was so accurate, that our variance in payroll from the 2010 season to the 2009 season was 0.01 percent. Some of this may have been luck, but I can attribute most of it to the hard work my management team put in this year. My professional growth in the turf industry has certainly been on the fast track. My original goal was to become a superintendent before I was 30. Now, my goal is to become certified before I am 30. I feel the preparation would help me become a much more rounded superintendent, and in the process the golf course would benefit greatly. I take each day at the golf course very seriously as I am always trying to make one part just a little better. I am excited to begin the 2011 season as a Class A superintendent. I am equally as excited to face the new challenges that are ahead. 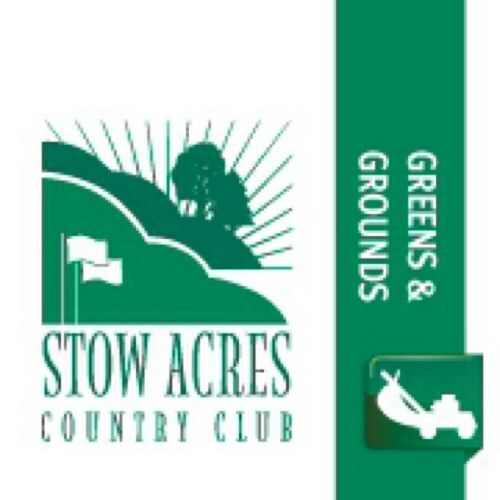 Thanks for taking the time to read a little about Stow Acres Country Club! If you have any questions regarding programs that we have in place, feel free to contact me at jvanbuskirk@stowacres.com. Also, make sure to check out our blog at http://stowacresturf.com.